find your local Chabad on Campus here. 200 for Fri night dinner! Guided by the extraordinary vision of the Lubavitcher Rebbe, we aim to ensure that every Jew is connected to their roots. We have a variety of programming to appeal to as wide a range of students as possible, from weekly Shabbat meals, regular study groups, gust speakers, social events, weekends away and more. We also have events for post-grads, a group whose needs are often overlooked. If you're in need - Chabad will be on hand to assist. We are committed to ensure that Jewish life be enjoyable, so you won't find any boring, miserable, outdated events at Chabad. We want every person who walks through our door leave with a love for their Judaism. A contagious love that makes them want to do more, and encourage their friends to do more too. Because we want the Jewish experience to last, and if you don't love it, you simply won't do it! So, we don't need a special event to make a celebration at Chabad. You'll be hard pressed to find a day that there isn't something going on at Chabad. Whether a sushi night, Shabbat or festival meal, BBQ, Pizza & Parsha, lunch & learn, social event, Purim party, SImchat Torah, guest speaker and more. You can be guaranteed to find something to celebrate! Each term, Chabad on Campus hosts a wide range of world-class speakers, ranging from Nobel Prize Winners, Holocaust survivors, business leaders and spiritual mentors. The most powerful and effective study is often done one-to-one. Our Rabbis and their wives are happy to take the take to learn with you on a topic of your choosing. Chabad on Campus is proud to offer the most relevant, cutting edge classes dealing with a host of topics, both classical and current topics. Many branches offer a range of courses from the acclaimed worldwide JLI adult education series. 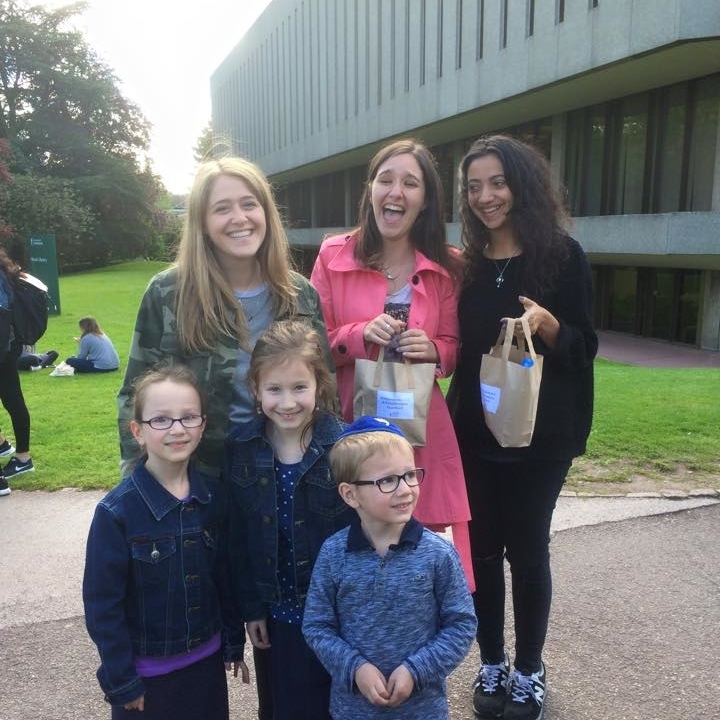 For those who wish to explore further, we work with a number of educational institutions who offer opportunities to delve deeper into Jewish study on a range of learning levels. There are summer and winter programmes as well as full year or semester plans.